September is recognized as National Preparedness Month, which serves as a reminder that we all must take action to prepare—now and throughout the year—for the types of emergencies that could affect us where we work and live. Watch for a series of stories about emergency preparedness in MyVU during the month of September. Disasters, both natural and man-made, affect hundreds of thousands of people in the United States each year. Learning about different types of disasters and what to do before they strike can increase your chance of survival and decrease the extent of fear, property damage, and interruption to your daily life. The Federal Emergency Management Agency uses the following four-step process to assist you in preparing for emergencies. In a worst-case scenario, first responders may not be able to reach you during the first 72 hours after a disaster strikes. 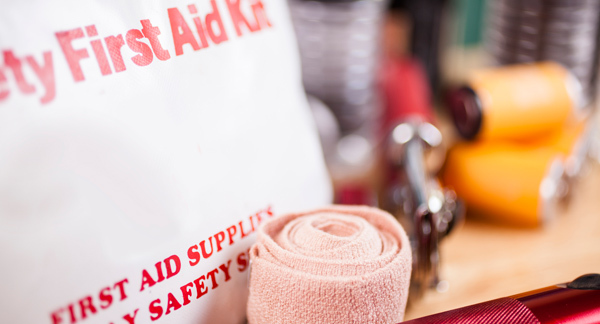 It’s important to remember that “everyone is their own first responder,” and having a kit with the following items, many of which you probably already have on hand, can make all the difference. Be sure to have a gallon of water per person per day, important identifying documents, a flashlight, nonperishable food, a first aid kit, and a whistle. Consider having one kit in a waterproof container and another, lighter kit that you can easily take with you should you have to evacuate. Plan in advance to ensure that you can communicate with family members, know where to go during a disaster, and be familiar with emergency plans at school and work. Develop a family communications plan. Since disasters can strike at any time, you may be separated from your family. Have a plan that includes every family member contacting a designated friend or family member that lives in a different area. That way, all information will flow through one person, and they can account for everyone affected. Create a plan to evacuate or shelter in place. Listen to local officials during an emergency. Some incidents will require you to leave the area, while it may be safer to stay inside during others. Have several destinations in different areas to which you can evacuate and know more than one route to each. If you must shelter in place, turn off your air conditioning and create a barrier between yourself and the outside air by sealing your windows with plastic. Know emergency plans at school and work. Disasters don’t only affect you at home; know what plans your school or employer has in place so you can communicate with your family during an emergency. Also talk to your neighbors—they may be able to help. Know what type of natural and man-made disasters are most likely to affect you. In Middle Tennessee, our greatest natural threats include severe thunderstorms, tornadoes, flooding, snow and ice. 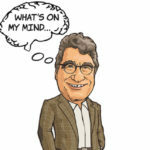 While very unlikely, it’s still important to plan for events that haven’t occurred here in the past—such as terrorist attacks, nuclear power plant meltdowns, and long-term power and IT outages. 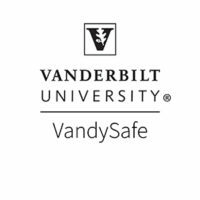 Go to the “Resources” section of the Vanderbilt University Emergency Preparedness website to learn more about different types of disasters and the best ways to prepare for them. Once you’re prepared, it’s important to work with your community to ensure everyone is prepared to the best of their ability. Ask local officials questions about emergency plans and how you can help others. Consider joining the Citizen Corps to help others prepare, train and volunteer in their communities. 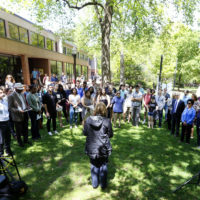 Feel free to contact Vanderbilt University’s Office of Emergency Preparedness, Fire and Workplace Safety to learn more about personal preparedness and to get involved with preparedness efforts across the campus.